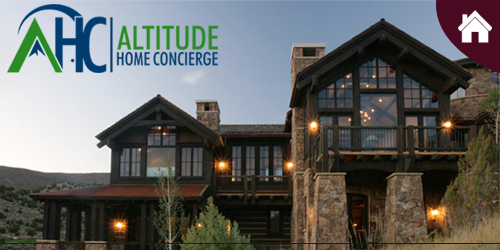 Altitude Home Concierge in Park City, Utah is a newly established concierge service provider to the homeowner with a vacation home or a second home. Our mission is to create a seamless relationship between our professional services, and the Owner. Whether long term planning, or on short notice, the property will be safe, clean, inviting, and ready for occupancy. In addition to exceptional concierge services, we also offer property care, luxury home maintenance and asset management. Locally owned, we are fully licensed and insured for your peace of mind and safety. We realized that the Summit and Wasatch County area was in need of a new level of concierge service, combining the foundation of homebuilding with the service requirements expected from top rated service organizations. Our company owners have 45 years of combined service experience with a focus on exemplary customer service, quality building and project management, and the management of resources for quality end results. We excel in efficient, seamless service and treat our clients and customer homes as if they are our own. Our company is licensed in the state of Utah, and our current client base is in the Summit County area, with homes in Park City, Midway and Heber City, Utah. Contact us today to find out what more we can do for you and to discuss your property care needs.